Low tyre pressures will increase fuel consumption and can also cause your car to handle and brake poorly. So it’s a good idea to pick up a compact air compressor for you to check and top them up at regular intervals. Here are ten of the best on offer. This is one of the most popular compressors around – and justifiably so, thanks to the fact that it’s so easy to use. All you have to do is to connect the air line to your tyre’s valve, dial in the desired pressure and then hit start. The compressor will then run, pumping the tyre up to the desired pressure. Tyre inflators powered by a 12V socket all well and good but avoiding getting the cables and hoses hung up on things can be a bit of a chore. Also, if you want to pump up something that’s not near your car, then you’re flat out of luck. 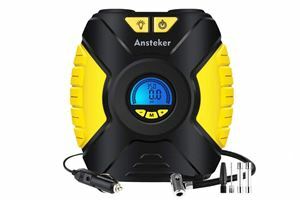 This Ansteker compressor, however, can also be powered by a 2000mAh battery – so you can quickly and easily move it to wherever you need air. It also comes with a one-year warranty. One of the advantages of this TireTek inflator is that it comes with a long 3.5-metre hose, as well as a three-metre cable, which can make it much easier to use and handle – particularly if you’ve a bigger car. Like others here, you simply set the desired pressure and it does the rest. This means you can stay in the car, out of harm’s way, while it pumps up the tyre. It also comes with a one-year warranty and a tough carry case. 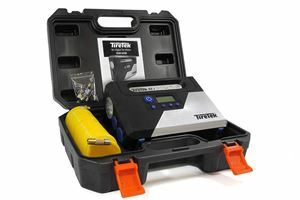 This Tacklife compressor, like the Ring RAC635, features a system that automatically pumps the tyre up to the desired pressure then stops. 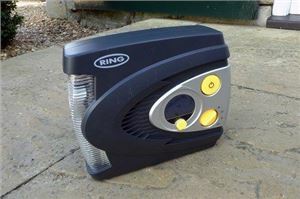 It’s not quite as quick as the Ring, taking four minutes instead of three to inflate a tyre from 0-35 psi, but it comes with four adaptors to allow you to pump up the likes of bicycle tyres and balls – and it has a similar integral light. It only has a six-month warranty, though, provided you register online. 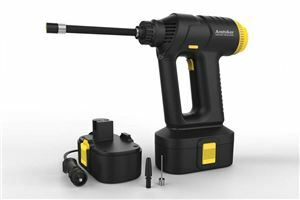 This digital tyre inflator from Ansteker is less expensive than the cordless version as it relies solely on a 12V connection. It’s not as quick to pump up a tyre as some of the rival offerings, and it doesn’t have an inbuilt light, but it’s not as costly – so if neither of those features is essential then you could save a little money by opting for this. It still comes with a one-year warranty, though, so major issues should be few and far between. If you don’t want to spend much then this simple Ring offering could be ideal, as it’s frequently on offer for less than £20. 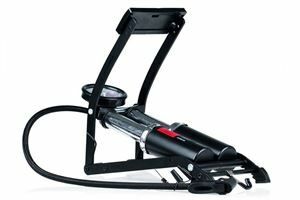 It’s not automatic, so you have to keep an eye on the pressure gauge while it’s running, but it’s otherwise quick and easy to use – and it comes with adaptors for inflating balls and bicycle tyres. It doesn’t include a carry case, though, but the air line and cable can be neatly tucked away within the unit for storage. 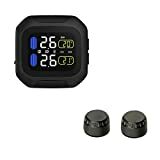 This own-brand ‘AmazonBasics’ tyre inflator is very similar to some of the more expensive Ring models. 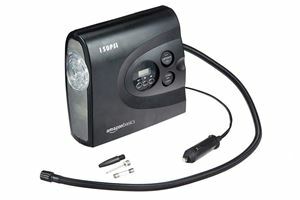 Like those, it features a digital pressure readout, automatic inflation, an LED light, a three-metre 12V cord and adaptors for inflating balls. 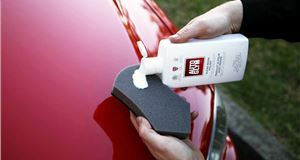 It’s also of a similar size, so it should fit easily in a pocket in your car’s boot or similar – and it even comes with a carry case and a two-year warranty. 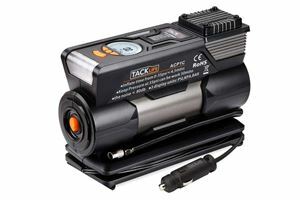 A larger portable air compressor version is also available. If you need something more capable then this could be just the ticket. 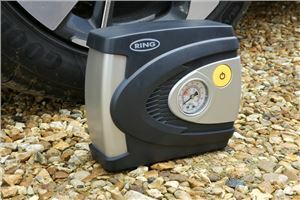 It’s capable of pumping up tyres far more quickly, for one thing, with Ring claiming that it can inflate a 13-inch tyre from flat to 35 psi in just 90 seconds. 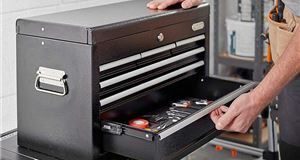 It also features a host of more durable parts, so it should handle knocks and hard use with ease, while its seven-metre air line means you won’t have to keep moving the compressor around. A two-year guarantee is standard. A decent foot pump can be a useful addition to any garage. 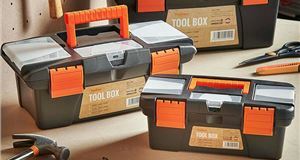 While they require much more effort than the electric compressors listed elsewhere, and aren’t as easy to use, they do have their advantages – such as requiring no power. This means that using them doesn’t entail dragging wires everywhere and, if you’ve a classic or modified car with no 12V source, you can still pump up a tyre. This twin-cylinder Heyner pump is a great example and comes with a two-year warranty. 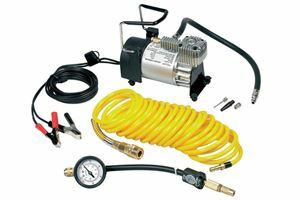 Okay, so for many this might be overkill – but if you’ve a garage or a little workshop, and are forever tinkering with things, it may well be worth picking up a compact air compressor. 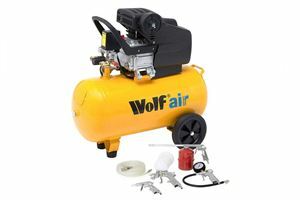 The likes of this inexpensive Wolf Sioux 50 are ideal; besides coming with a tyre inflator and a 5.5-metre air line, it also comes with a spray gun, blow gun and paraffin gun. 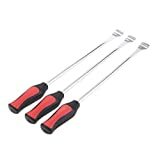 These are great for those regularly working on cars or other projects and can be very useful. It even has a two-year warranty.